A village country pub, closed for almost three years, has re-opened following a stunning refurbishment. Architect Peter Romaniuk took a personal interest in the 16th Century listed building and together with his wife, renowned florist Paula Pryke OBE, they have created a family-friendly venue that is winning great praise for its food. Key design elements of this dog-friendly pub include the bright and cheerful interior design with emphasis on comfy furniture, a bar designed to offer ale at one end and Champagne at the other and a fully open-view kitchen with chef’s table. For private dining, there is candle-lit, pink themed Raspberry Room, while the main dining room sits in an extension overlooking the garden and seats up to 60. 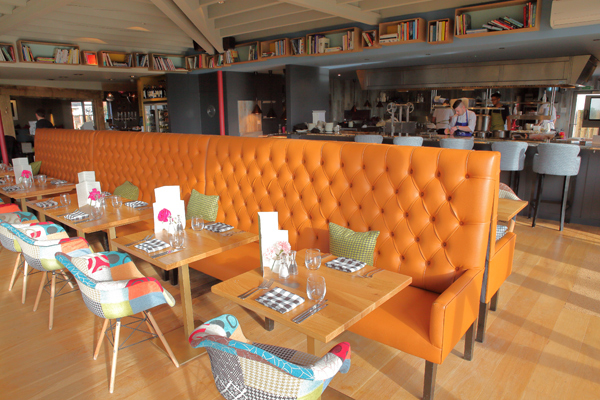 Design and installation of the foodservice facilities was carried out by Reg Dawson of Dawson Design Projects. “The Charvet Extend central island cooking suite was chosen for the Weeping Willow because it really does suit the open kitchen environment. “The client had asked for something that looked right in terms of character and which would bring a feeling for cooking good food to the project. 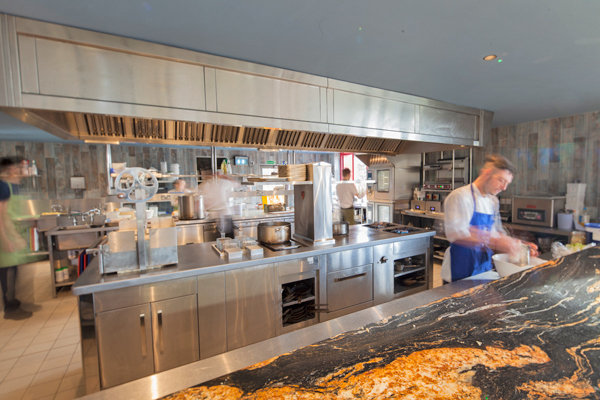 “When I showed them the Charvet Extend concept they were heads over heels in favour. “The pub’s customers can also get right up and close, sitting just a few feet away from where the chefs are working. “I proposed Charvet for this project because I have known Sales Manager Colin Leonard and MD Wayne Cuomo for many years. 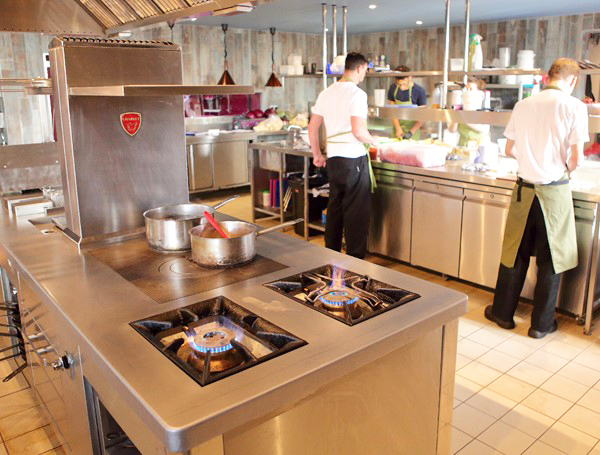 “When you design and install kitchens, there will be times when you have ‘issues’ with the equipment suppliers – but I have never had that situation with Charvet. The specification for the Extend includes two gas burners, solid top, plancha, double fryer, one-metre wide pass-through oven with a matching hot cupboard at the other end of the suite. Facing the suite on a wall is a Charvet Rise and Fall Salamander. Another wonderful commercial cooking suite from Charvet. New issue of Premier News OUT NOW!